West Park Hospital was the eleventh London Borough Asylum and was the last of 5 establishments to be built on the Horton estate and was known as Epsom cluster number 5. (the other hospitals in the cluster being Manor Hospital #1, Horton Hospital #2, St Ebba’s #3 and Long Grove Hospital #4). Construction was started in 1912 and the hospital was opened in 1923. The Architect was William C. Clifford-Smith, the architect to the City of London at the time, and he designed it with colony principles but on a echelon plan. This formation lead to easy access to each area by a network of corridors and formed a semi-circle. 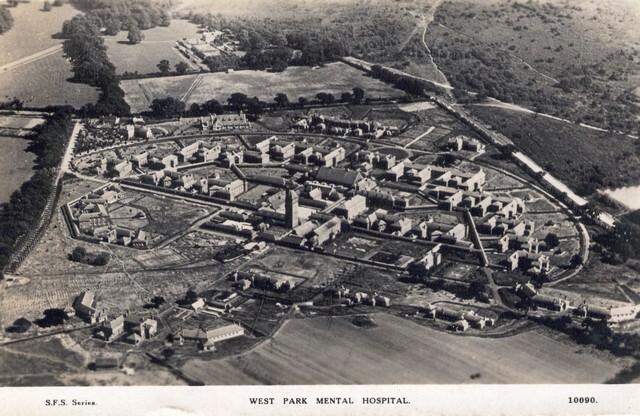 West Park Hospital had an administration block at the front with male and female wards on separate sides. The main stores and workshops, and water tower where placed centrally on the male side whilst the laundry, sewing room and nurses quarters where found on the female side. The porters lodge and mortuary where situated separately near the main entrance, as was the original chapel, which was later demolished and moved within the main site in the 1980’s. The superintendents house was situated some distance away on West Park Drive. Originally, the hospital was due to be open in 1916, but it was utilised by the Canadian Military as a War Hospital. Consequently, this caused a postponement in the opening for a number of years and the main hospital did not open officially until it was handed back to the London County Council in 1921. The villas to the rear did not open for a further three years and finally the site was complete and open by 1924. 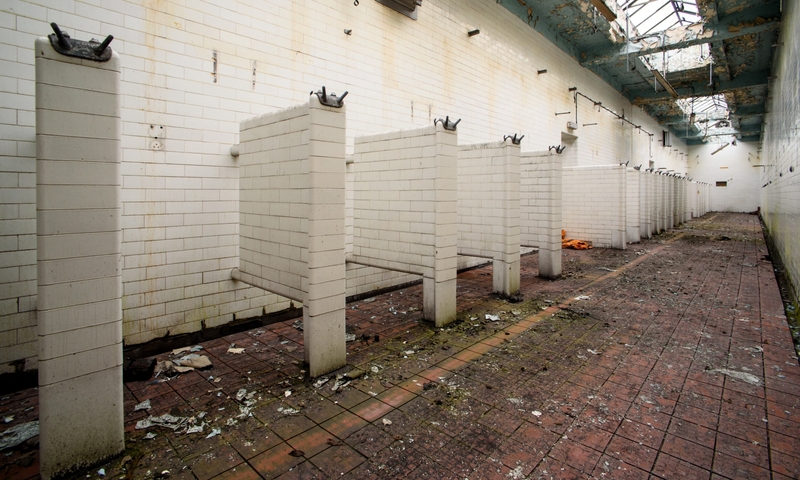 It was designed to hold up to 2000 full time inpatients. Initially, it was known as West Park Mental Hospital, during the 1950’s under the NHS is was referred to as West Park Hospital. At this time it was housing in excess of 2000 inpatients. By 1970 this number had fallen to 1500 patients, and by 1979 this number had fallen to just 1200 patients. Around this time the hospital was also the headquarters of the Mid-Surrey Health District, there was an alcohol and drug rehabilitation centre onsite. 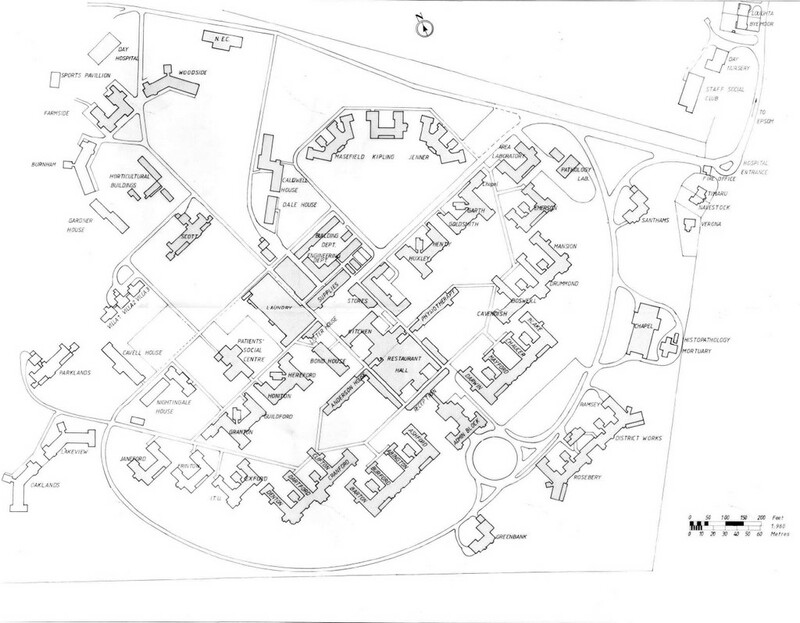 The main hospital site was completely closed by 2002 with only outlying buildings still in use for administrative and laboratory purposes. During 2003, the Great hall was burnt down in an arson attack as was Honiton Ward (female epileptic) and Hollywood lodge. The site has now been converted to affordable housing, with the water tower, administration buildings and all the outer ward blocks being retained. The rest is to be demolished and re-developed.